In January 2013 I wrote about Sports Report and Saturday afternoon sports coverage. This month we've now hit the 70th anniversary of that venerable radio institution which has prompted me to have a dig around in my archive and uncover past anniversary editions. I've previously posted the 40th anniversary edition of Sport on 2 with Peter Jones but this is now uploaded to YouTube. For the 50th anniversary there was a special edition of Sport on Five with Ian Payne. It seems I only kept the Sports Report sequence which was pretty much business as usual though there are some reminiscences from Cliff Morgan towards the end. On 3 January 2008 Mark Saggers presented a special edition of 5 live Sport to mark the 60th. With Mark thoughout the programme are Des Lynam and the late James Alexander Gordon. 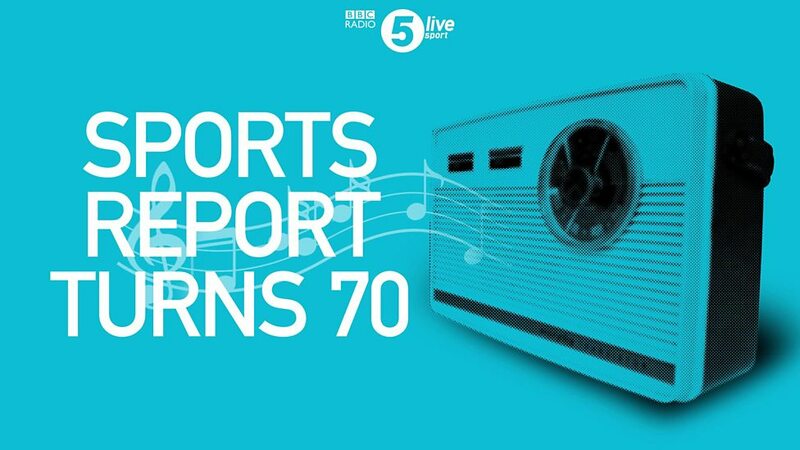 You'll also hear Mark Pougatch, Mark Clemmit, the Grimethorpe Colliery Band, Jenny Pitman, Ian Payne, Cornelious Lysaght, Sir Henry Cooper, Sheena Mackay, Pat Nevin, Pat Murphy, Stuart Hall, Tony Adamson, Eleanor Oldroyd, Stuart Jones, Jimmy Armfield and Mike Ingham. 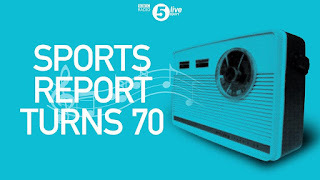 As for the 70th anniversary last Friday (5th) on 5 live Daily Chris Warburton gathered together some familiar voices, speaking to Mark Pougatch, John Murray, Jim Rosenthal, and producer Mark Williams. The recording then shifts to Saturday (6th) with the start of 5 live Sport on FA Cup Third Round day presented by Mark Chapman and then Sports Report, just a 30-minute edition to allow for commentary on the evening match between Norwich City and Chelsea. Many thanks for the great post on Sports Report. What a great legacy! There is much to admire in the fact that the BBC has kept a program on the air this long. Other broadcasters would do well to take note that innovation isn’t always the best thing to do. The memories of the late Peter Jones in some of these clips bring back many happy memories of listening to him via Saturday Special on the BBC World Service.